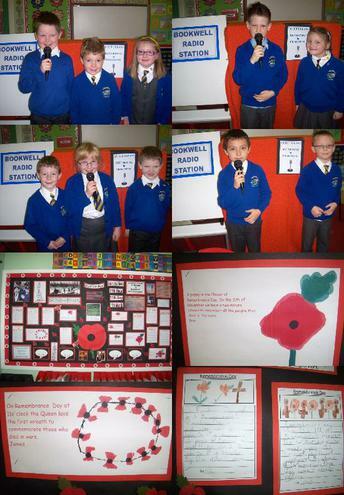 We visited the War Memorial in Egremont as part of our topic on Remembrance Day. Unfortunately it started to rain heavily while we were there, so we had to come back to school. But we still managed to do some excellent work to put on our display. We also did a radio broadcast at the end of the week, to show how much information we had learnt. It was strange listening to our voices on tape!